Mr. 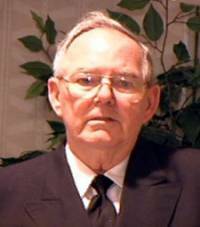 Norm Lloyd, Past-President of the CCGA C&A passed away on November 20, 2006. Norm was awarded the CCGA Exemplary Service Medal in 2003. Norm served the Canadian Coast Guard Auxiliary for over 25 years as a unit owner, SAR instructor, Director and President of the C&A region. He led the expansion of the region into the territory of Nunavut and contributed to the establishment of the Auxiliary in this area. Norm also spent a lifetime in service to boating safety in Canada and due to his efforts, the Auxiliary was able to achieve its goals in saving lives across the region. Norm´s dedication, judgment and devotion to duty reflected the highest tradition of the Canadian Coast Guard Auxiliary.